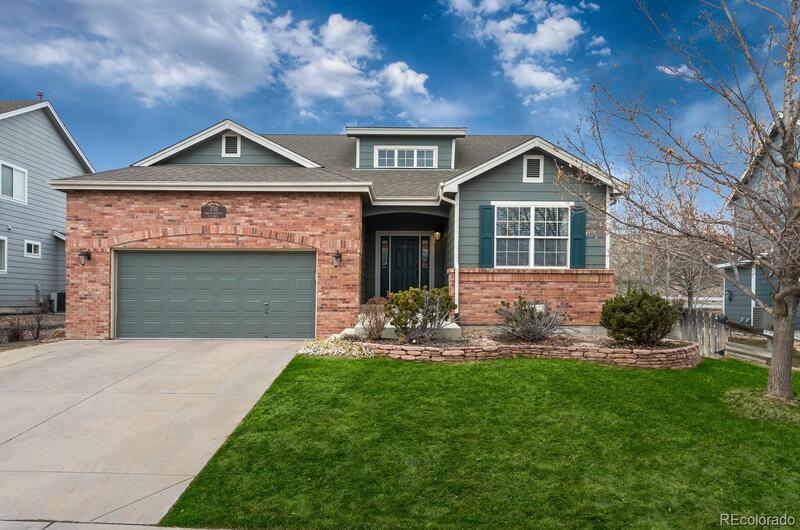 Welcome home to this charming ranch floor plan in the sought-after Briar Cliff neighborhood of Castle Pines! Situated on a cul-de-sac street and backing to open space, you'll love the privacy of the backyard looking out of the large windows all framed by soaring ceilings. New carpet just installed, new paint and newly refinished hardwood floors are just the beginning! The kitchen offers a large eat-in space surrounded by enormous bay windows, large formal dining area complements the open floor plan. A spacious master bedroom boasts a five-piece bath, walk-in-closet and vaulted ceilings. Relax outside on the large patio and inviting entertaining space along with ample grass in the serene back and side yard. The basement offers all you want in entertainment, complete with two bedrooms and a large bathroom including marble double vanity and travertine tile. Entertain your guests at the large wet bar, with fridge and movie area, wired for 7.1 surround sound. Incredible value!